After years of neglect with disastrous consequences, the Ivorian government recently launched a financial investment project for reforestation. With a total cost of 12 billion CFA francs, or 21 million euros, it has received support from the World Bank. When it comes to deforestation in sub-Saharan Africa, Ivory Coast appears on the front line. The figures provided by the Ivorian Ministry of Environment and Sustainable Development are alarming. Forest cover has increased from 16 million hectares in 1960 to 3.4 million hectares in 2015! Experts point to the Cocoa sector (of which Ivory Coast has become the world’s leading producer in recent years, editor’s note), palm oil and rubber. “Most Ivorian forests have only the name for “protected”. Behind the few trees, to create a good image along the roadside, illegal cocoa farms occupy the land. These crops have spread to the detriment of trees and dense forests that now cover only 4% of Ivory Coast,” explains the American NGO, Mighty Earth, in a report published in September 2017, in partnership with several media. The government of Ivory Coast has decided to tackle the problem by launching a major reforestation project in partnership with the World Bank. It will cost 12 billion CFA francs, or 20 million euros. 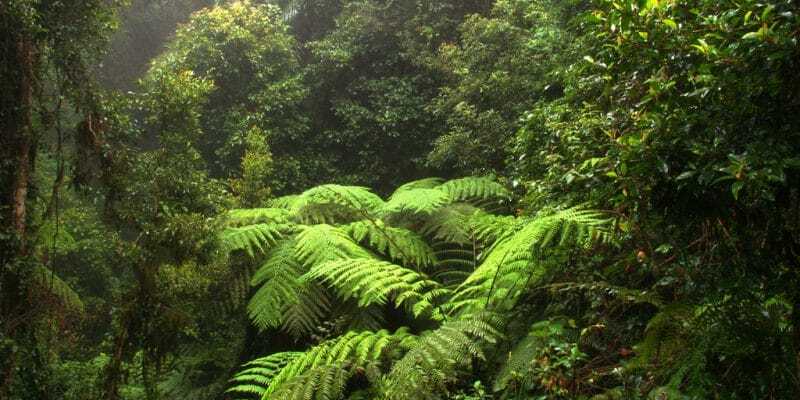 The Ivorian government’s project will cover eight regions of the country with the objective of reversing the trend of deforestation and forest degradation. “This programme is a framework for the management of forest resources in Ivory Coast. It will contribute to the implementation of zero deforestation agriculture by 2020,” said Sunil Mathrani, the representative of the World Bank’s Director of Operations. The Ivorian Minister of Environment and Sustainable Development, Joseph Séka Séka Séka on his part, invited the population to get involved, “for the success of this project”. Cocoa producers, actors of the deforestation, are slowly becoming aware of the situation. They met in Paris in September 2018 as part of the “Cocoa Forest Initiative” with the main operators in the sector, including the Swiss giant Nestlé and the French Cemoi. Nestlé has offered to assist the government, in particular in mapping Cocoa plantations. “The objective is to complete the mapping by the end of 2019, and the idea is to compare these maps with other maps that show the frontier areas of deforestation in order to accelerate collaboration with public authorities and jointly implement policies to stop deforestation. ”, explains Jean-Manuel Bluet, Director of Sustainable Development at Nestlé. Such an initiative should also apply to the palm oil and rubber sectors, which, like cocoa farming, contribute to deforestation, which leads to biodiversity loss, reduced greenhouse gas storage and the degradation of other ecosystem services provided by forests.